I was given two beers on the condition that I wrote about them. So, in what looks like (but isn’t!) a tasting-note-based stand of defiance against Pete Brown, that’s what I’m going to do. 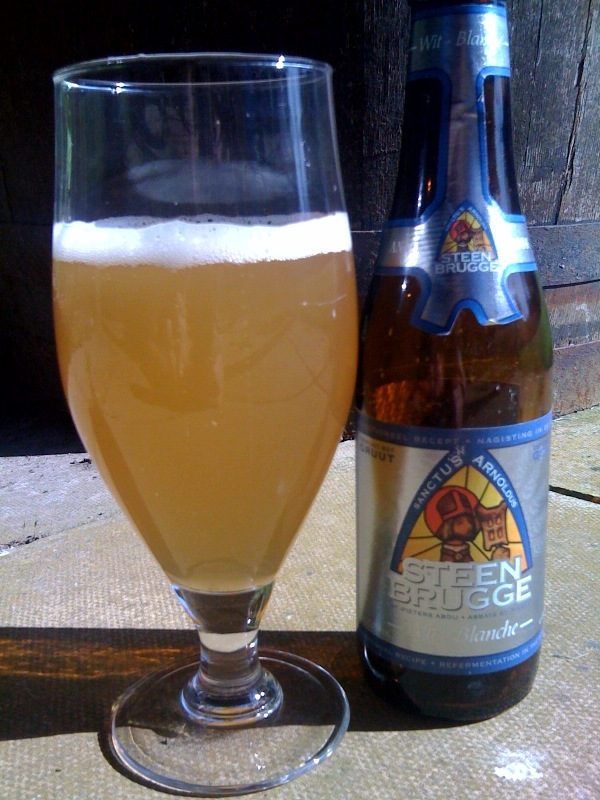 Steen Brugge Wit Blanche pours a pale straw colour with a fluffy cloud of white head on top. As you’d expect for the Wit style, there’s also a muddy haze to the beer. The aroma is dominated by Belgian yeast esters. Clove, coriander seed and a slight sulphur hint in the background. There’s a slight sweetness at first and then some boozy, quite raw tasting, alcohol. There’s a big wheaty character that runs throughout this beer; think Shreddies or Wheatabix first thing in the morning. The finish is dry and has a moderate bitterness. In the mouth it’s light and has a prickly carbonation that zips across the tongue, it’s enjoyable but far from great. Daas Blond is also a hazy straw colour but is much livelier than the first beer. The aroma is ester lead but the alcohol is far more apparent than with the Steen Brugge. Immediately you notice that the taste lacks sweetness, that alcohol powers through and the mouth feel is left feeling thin and slightly watery. There’s something vegetal going on in the background and the whole thing just feels a bit rough around the edges. A lot of people argue that Duvel, whilst not a bad beer, is just dull and uninteresting. In some ways the same applies to Daas Blond, I just find it difficult to get excited about big blond beers that are dominated by Belgian yeast character. I realise that this all makes me sound incredibly ungrateful for the free beer, but that really isn’t the case. It’s coincidental that I didn’t love these two, and from a tasting perspective even beer you don’t particularly like can be enjoyable. I think there is a HUGE difference between a good Belgium and just another one cashing in on the style, but I suppose you could say the same of any style. Regardless, It is nice to read an honest review of a couple. Thanks. Thanks for the comment. You're right, they'll always be good, bad and indifferent examples of every style. Maybe it's a personal thing, I just can't get excited about beligan blond beers.